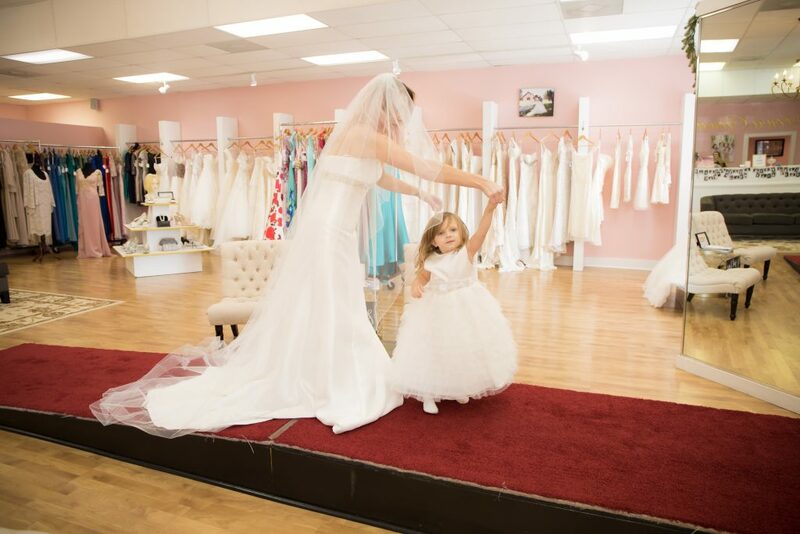 Every girl dreams of her fairytale wedding. 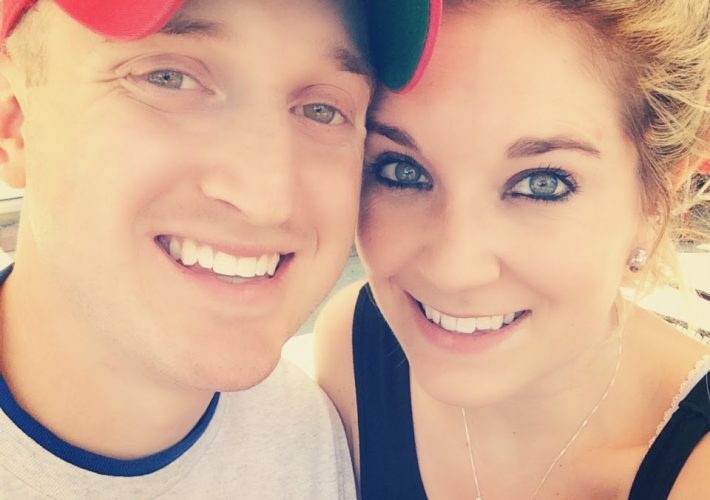 Getting married is such an exciting milestone because it means you’ve found the person you’re going to spend the rest of your life with. On that day you promise to love and to cherish, through the good and the bad, all the days of your lives. 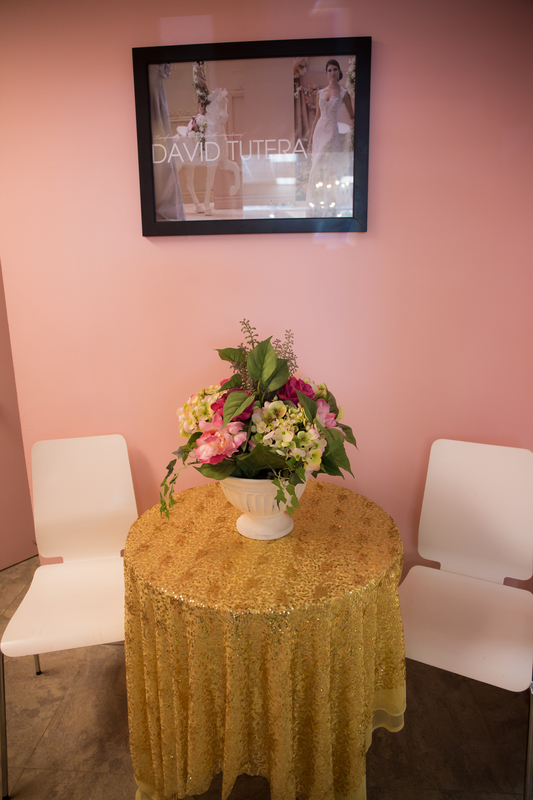 Your wedding is the first page of a new chapter and it should be absolutely perfect, right? Well, of course, as it should! 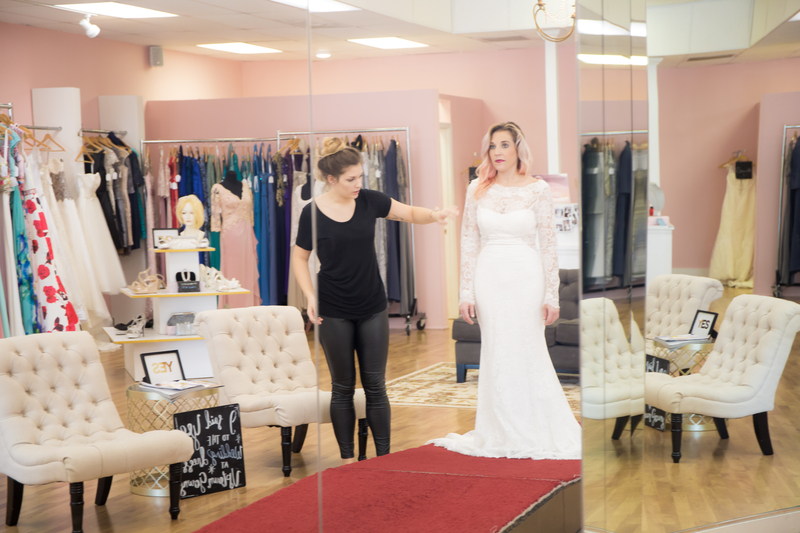 And what’s one of the first things you need to do when you start the wedding planning process? 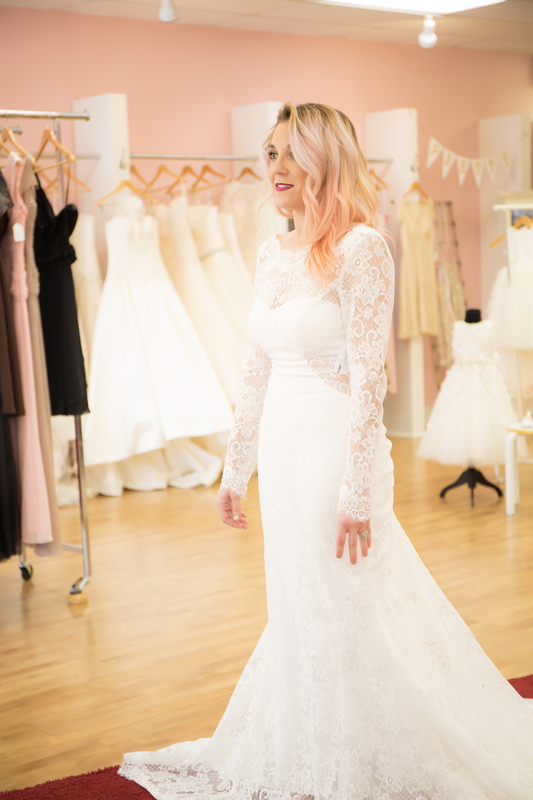 Say yes to the dress! But of course I jumped at the chance to play dress-up for my January magazine feature. 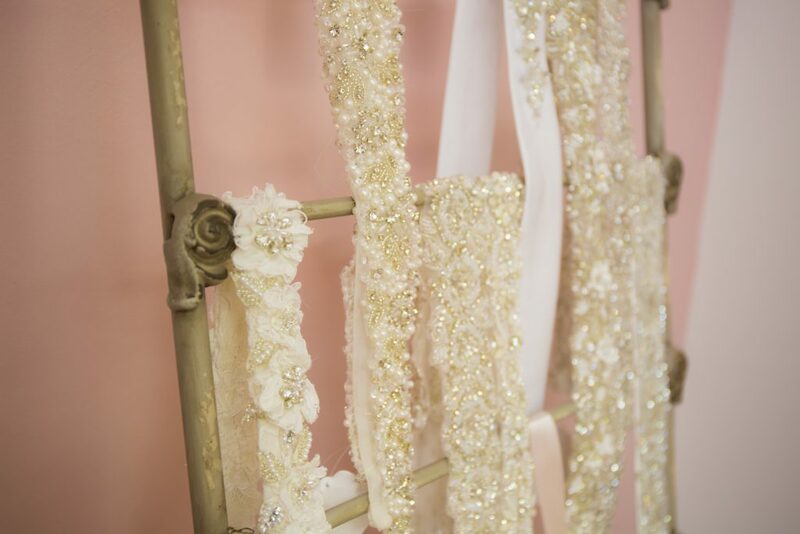 It’s a big month for brides; it’s a new year which means a lot of weddings are being planned! 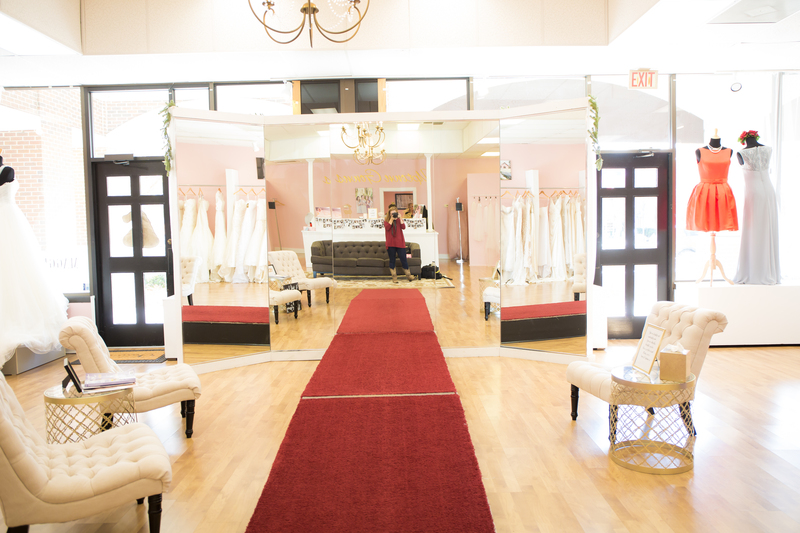 I remember going to a few different bridal shows in January before Z and I got married. Of course we ended up not using any of the things I learned there (boo Army), but it was still fun none the less. 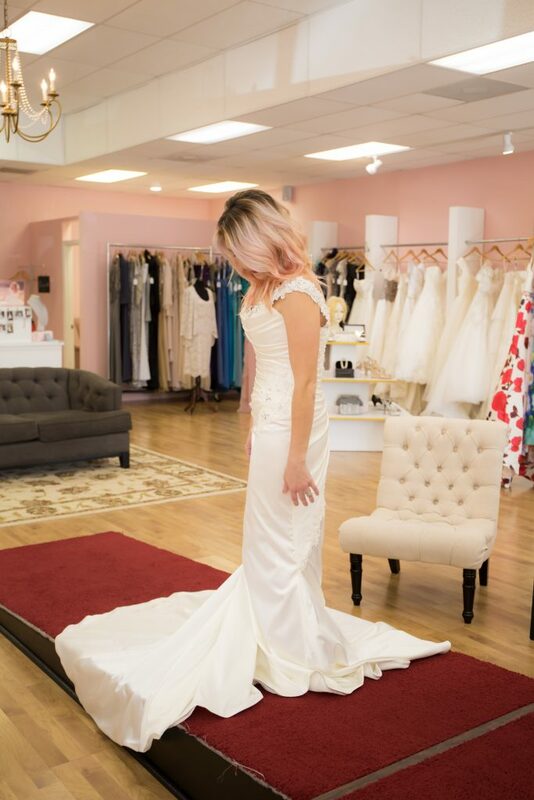 I tried on dresses and even bought one, but we ended up having a small ceremony (where we just moved from actually) and it was the best thing for us at the time. 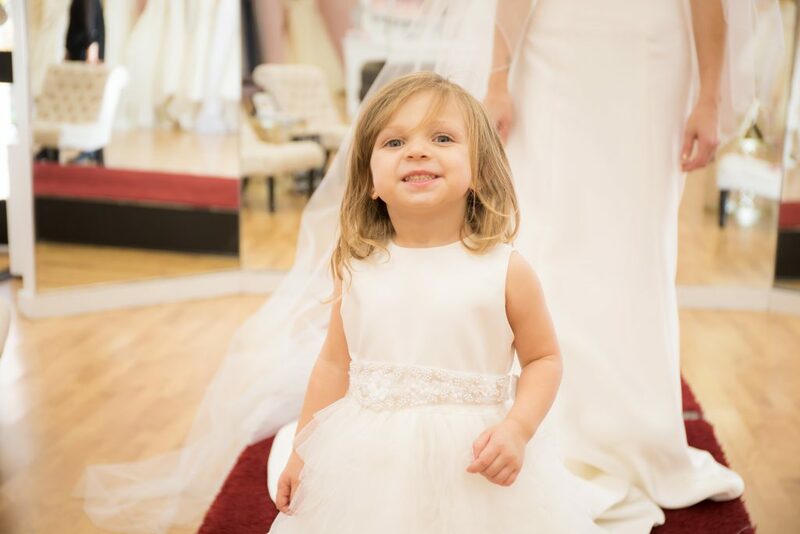 Am I sad I didn’t get a “big” wedding? Yes. I don’t say that in a superficial way but I think we can all agree that weddings are SO much fun. 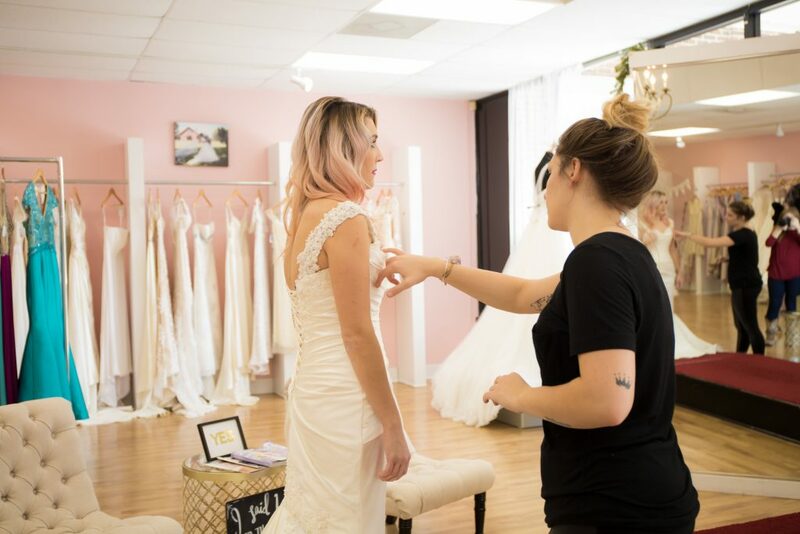 I wanted the chance to celebrate our love with friends and family, get all dolled up and feel like a princess, and remember the magic for the rest of my life. Of course I remember my wedding day and one day, maybe we will get the big celebration. But for now, we have the memories of our day that was special in it’s own way. Know your budget: the average wedding dress costs $1500. 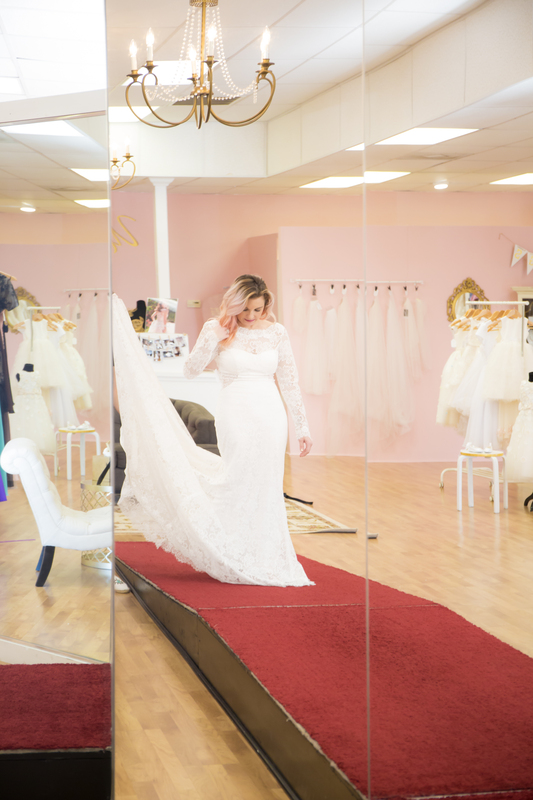 Of course there are dresses under and over that price range but you know that saying “you get what you pay for?” It’s holds truth when it comes to wedding dresses. A lot of dresses are handmade and hand beaded and if you want quality, you have to pay for it. 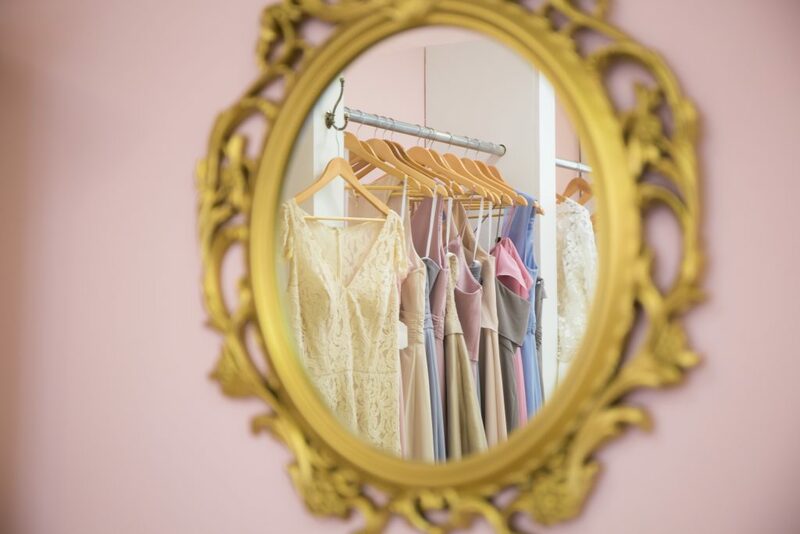 Go on a day you feel good: If you’ve been looking for dresses all day and are starting to get frustrated, stop and go another day. Make sure you’re in a good mood, feeling good about yourself and aren’t looking at it as a chore. Bring a small group of positive people with you: Too many people=too many opinions and can be overwhelming. Make sure you bring a small, intimate group with you who are positive and won’t make you feel stressed out. 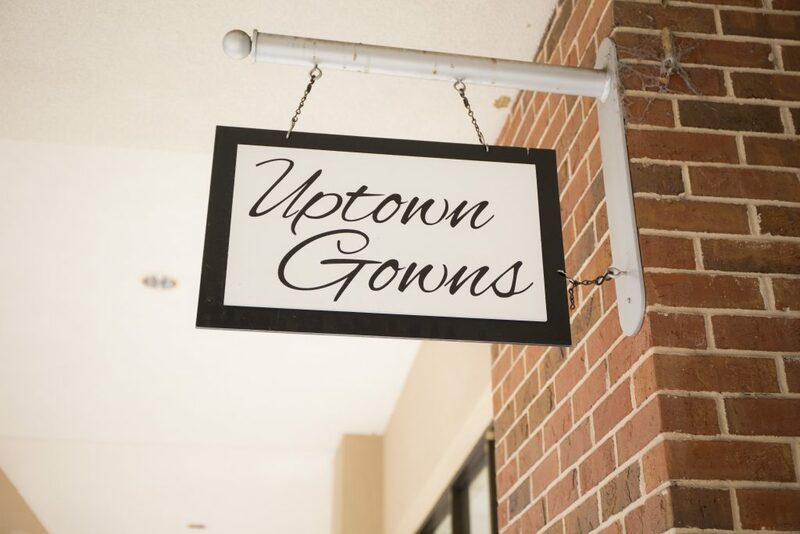 Pinterest does not equal real life: According to the lovely ladies at Uptown Gowns, one of the biggest problems they see is brides coming in expecting to find the exact same dress they saw on Pinterest. A lot of the time the dresses on Pinterest don’t have a source where the dress came from. They don’t know the designer, what alterations were done, etc. 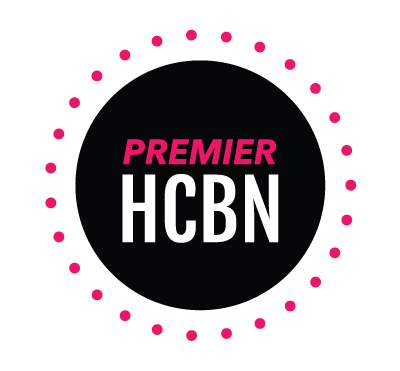 You can certainly come in with a Pinterest board and vibe you’re going for, but don’t be dead set on what you see on Pinterest. It’s okay if you don’t cry! 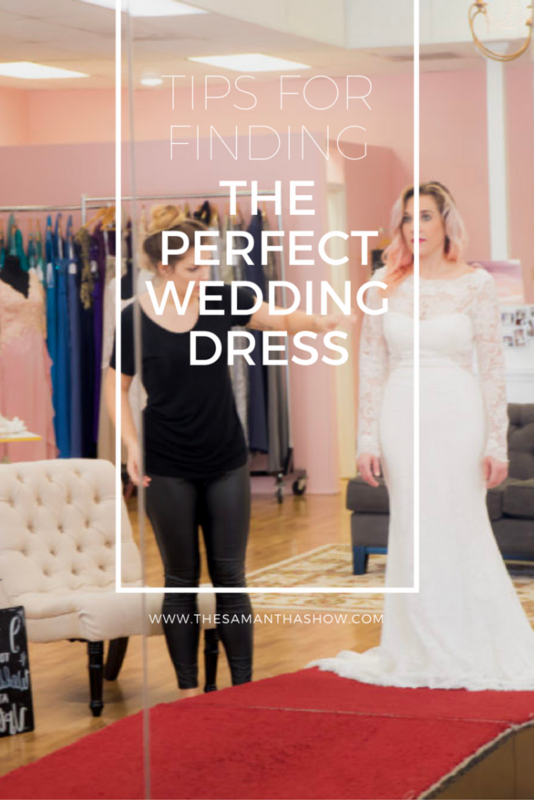 A lot of women expect to cry when they find the perfect dress. And that’s not necessarily true for everyone. Pay attention to your heart. 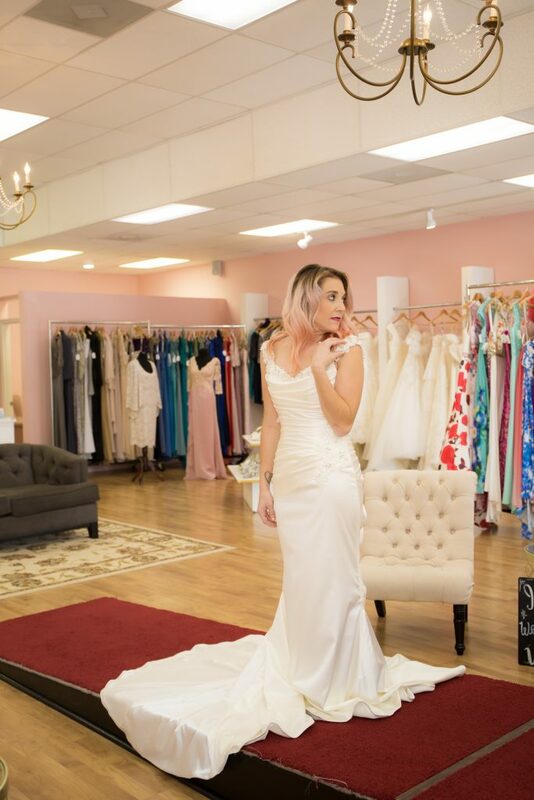 It’s a heart thing, not a head thing and if it makes you feel like a bride, it’s the one. You have to feel it! And when you know, you’ll just know. So what’s the timeline look like? Most brides start about eight months out, however it’s not absolutely necessary to have that much time. 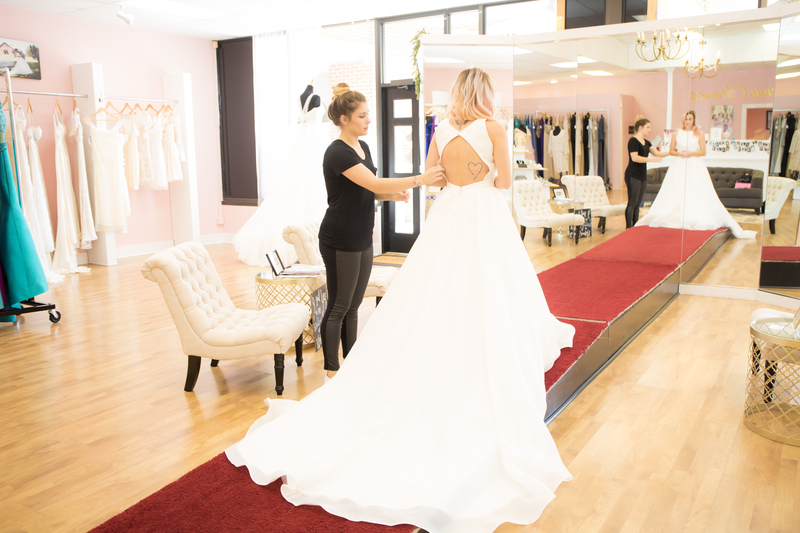 Custom gowns may take four months + to make but most other gowns will need to be altered regardless of the one you pick. 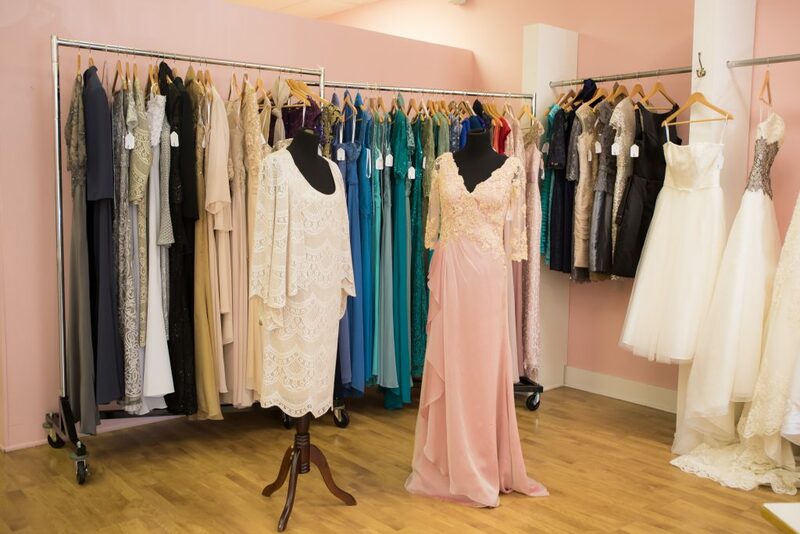 And most of the time, you’ll go in for three fittings before the big day. 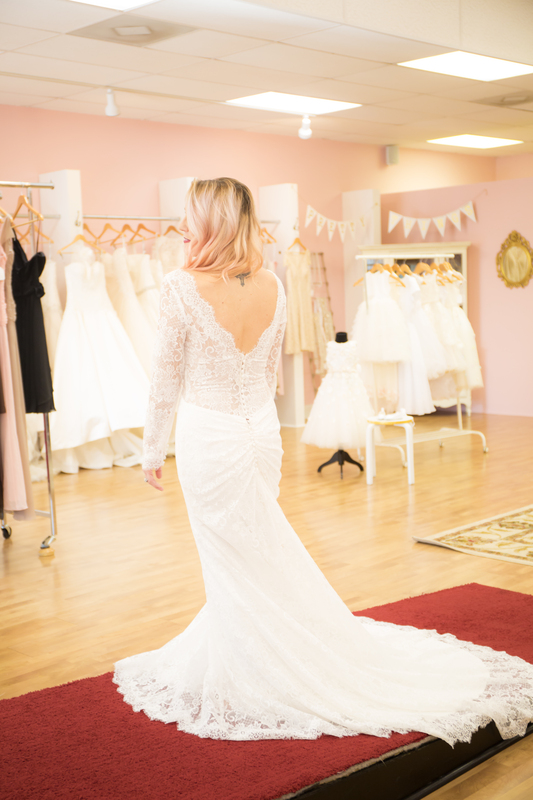 What tips would you give to a bride looking to find the perfect wedding dress?! Share them below! « NYE Outfit Inspo + THANK YOU! Love this! 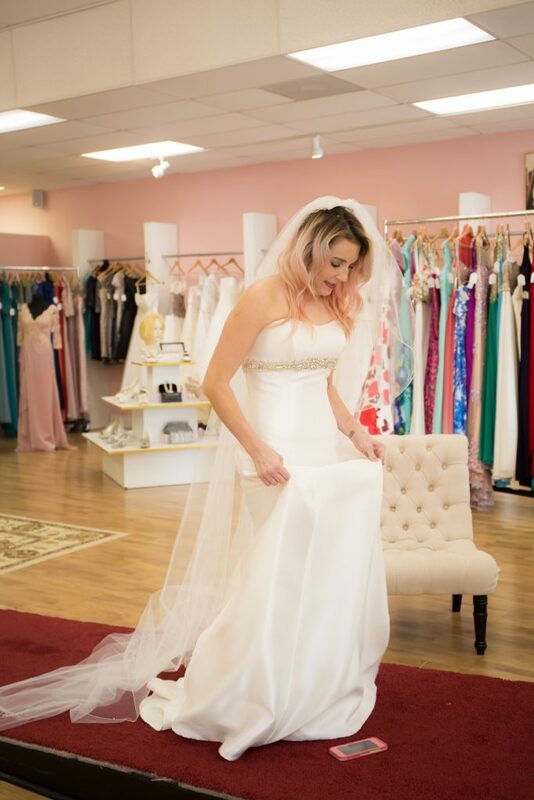 I bought a wedding dress this year and it was not at all the experience I thought it would be. 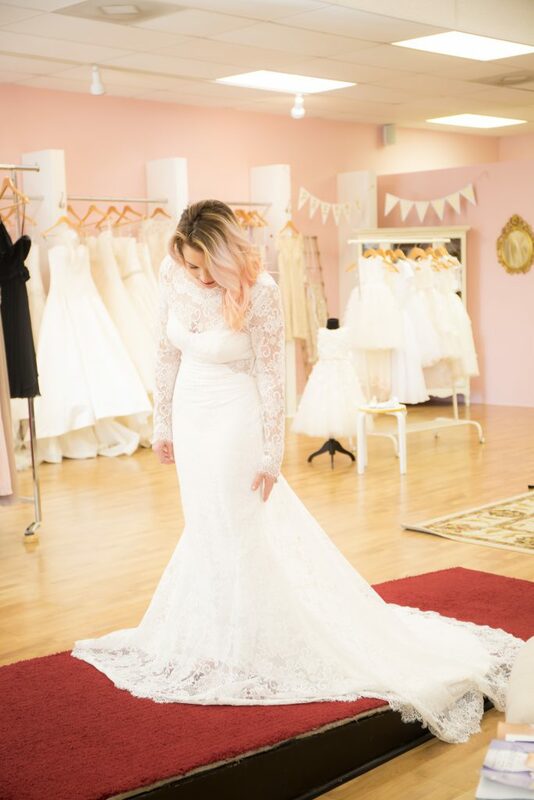 I think “Say Yes to the Dress” gave me unrealistic expectations, but I absolutely loved my dress and the experience sans drama haha! Oh my gosh I dream of the day I get to pick out a wedding dress! You look absolutely gorgeous, and it looks like you had fun, too! Great tips! I especially agree with the one about bringing only a small group of positive people! It definitely made my experience so much better. I learned the whole “Pinterest isn’t real life” lesson when I went wedding dress shopping. I had a very specific dress style in mind. 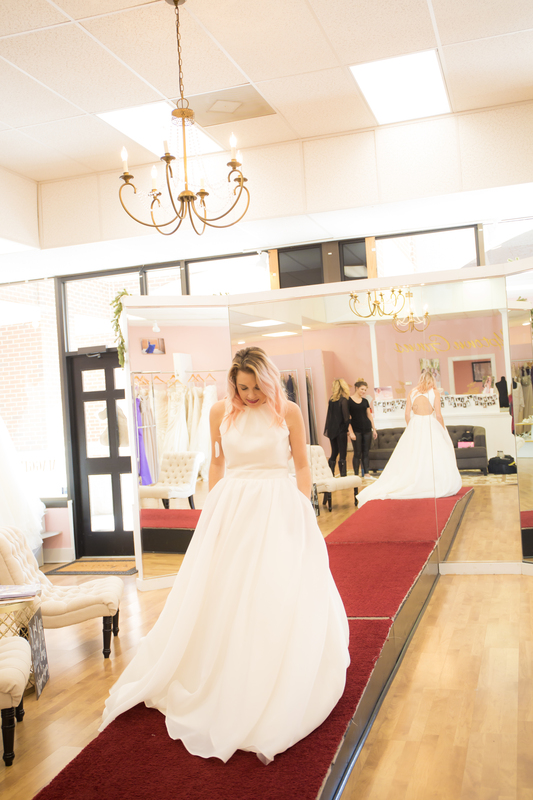 I tried on dress after dress, sticking to that style, and they all looked awful on me! It was very discouraging. Then, my stylist picked out one more for me to try on and I fell in love. 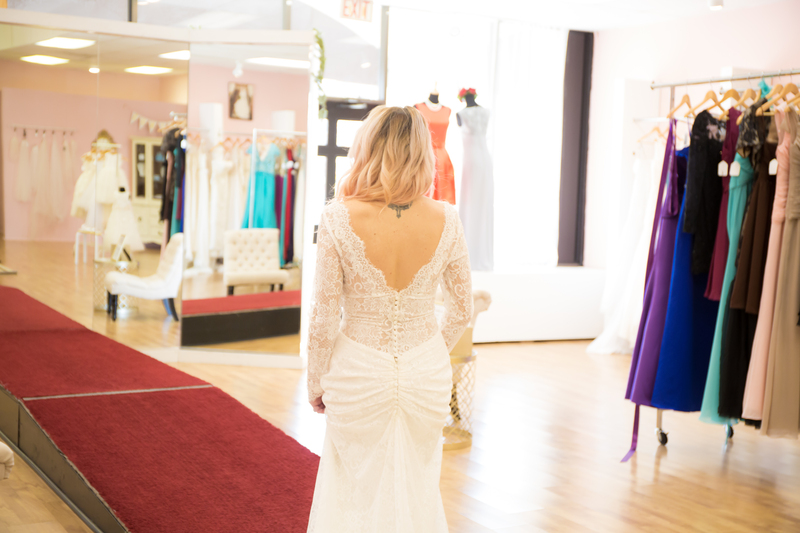 It was a dress I would’ve never considered otherwise, but it made me feel so beautiful. My advice for brides would be to go with an open mind and be willing to step outside of your comfort zone! 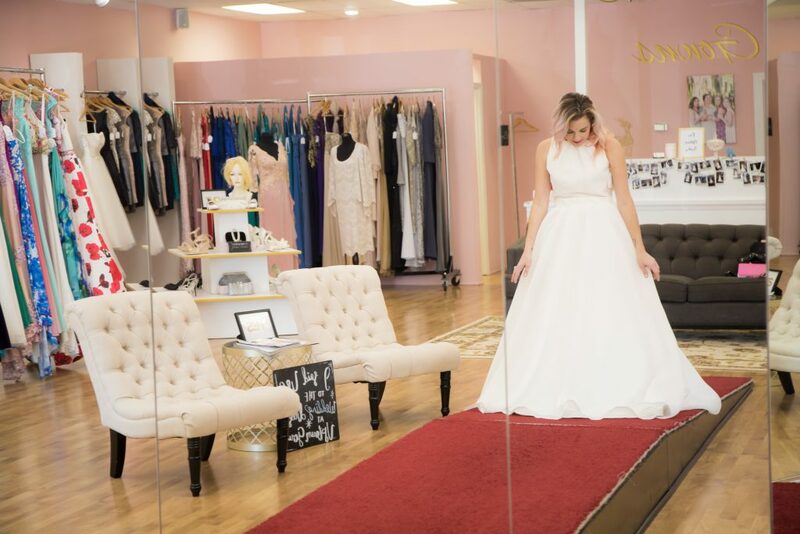 My wedding dress shopping experience went fairly smoothly. I had a fair idea of what I want heading in. Therefore, it was easy for me to find the right dress. I love that boat neck dress with an open back. Modern but with a touch of vintage! 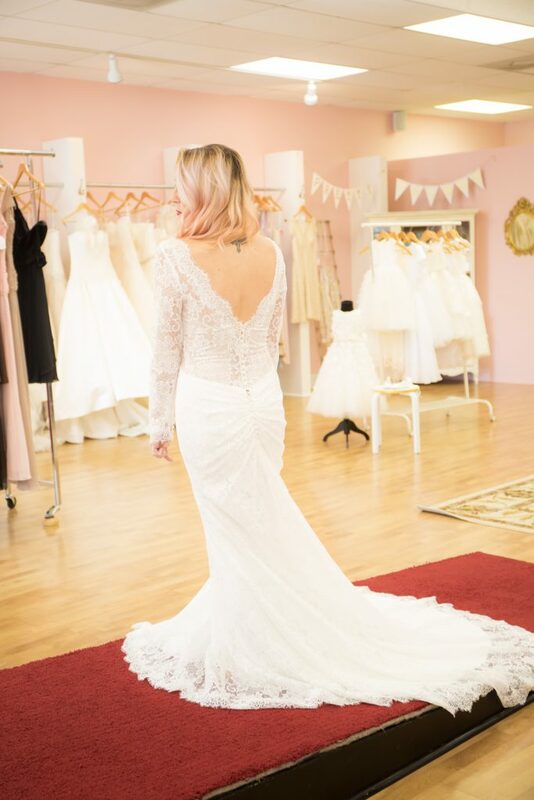 While I’m not engaged (yet) I have been looking for wedding dresses a lot on Pinterest and have been gathering info to call the shops once I’m at that moment. I hope you’re relishing in all the moments of planning no matter how stressful it can be at times!! I love these pictures so much!! 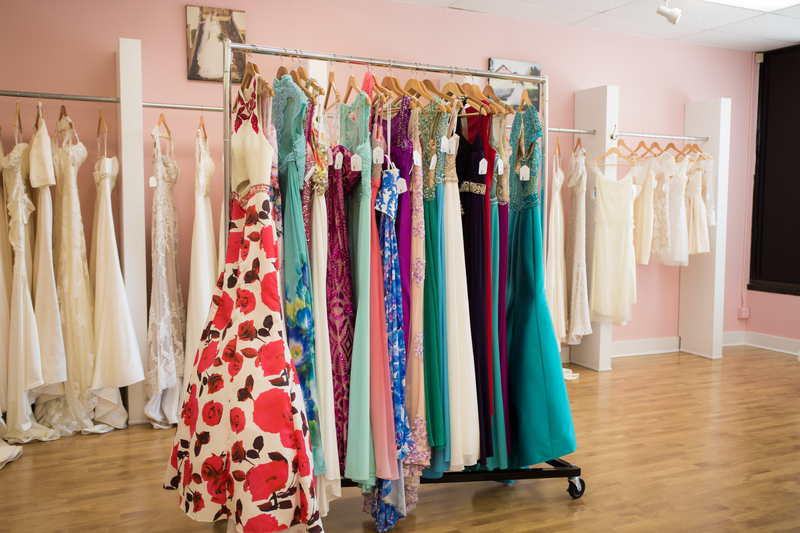 These are such great tips – you look gorgeous in all of those gowns!